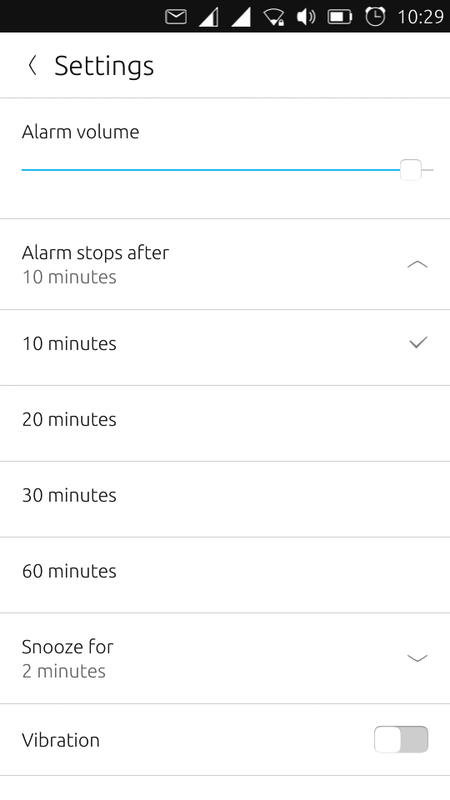 why the alarm duration can only be set to large number of minutes. set the alarm duration to values like 10 , 20 , 30 , and 60 minutes. See the screenshot that I have joigned. how can I reconsider this design ? wishlist / future enhancement ? I do not think this bug has to be forwarded to the wish-list. I has its importance for the reasons I have already reported. And I ve check that Android has this same lack of feature! Can we make things normal and better ? Let's merit it! And sorry to insist a little.